Here is a lovely goodmorning wish picture portraying Lord Ganesh with sweets image. Share the blessings of Lord Vinayaka on this beautiful day to make the mornings of your dear ones a blessed one. Let your dear ones start their day by praying to Lord Ganesha. 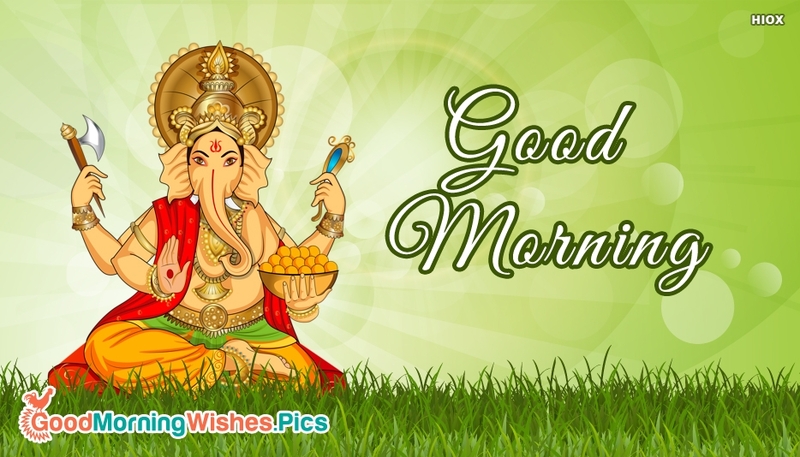 Share this "Good Morning With Ganesh" picture and bless your dear ones' days.